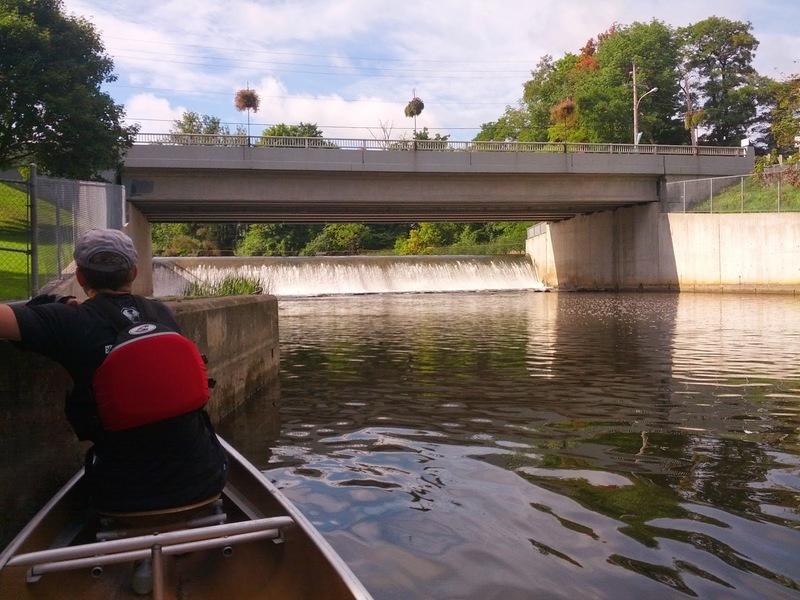 We wanted to do a longer paddle today so we headed to the Black River. The river is basically three sections, divided by dams. This is just over 3km, scenic, lots of homes/cottages. Wide. We put the boat in at the end of "King Street" in Sutton, paddled to Lake Simcoe, then back. We didn't have a chance to paddle this section as we just couldn't find a launch spot... it was incredibly frustrating! Apparently the place to use is behind the Scotiabank on the main street in Sutton. Another time. Another dam at Baldwin. Again we had trouble finding a launch spot. This fellow did a nice job summarizing the possibilities - he used a culvert in town, we ended up using an entry onto a creek at the bridge on Frog Road (east side of the river). This section was great - you can go a long distance either way. We first went down to Baldwin, where it is wide and very low current. Then we went up-stream almost to Ravenshoe Road - it becomes very twisty, but lots of depth and no trouble (other than turning, turning, turning!). All in all a pretty fun day, good paddle. I would really like to pick up that section we missed, another time.